Air duct cleaning should be conducted every two or three years for a healthier home. Your home’s Indoor Air Quality (IAQ) is important, and having a clean, more effiecient heating, ventilating and air conditioning (HVAC) system is vital to maintaining a clean healthy and comfortable living environment. 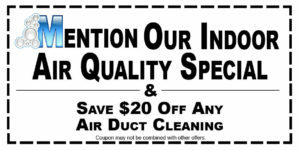 – Health experts agree on the health benefits of proper, and regular air duct cleaning. 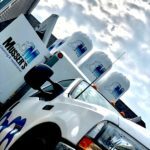 Musser’s specially certified technicians have the training and experience to remove harmful contaminants from your home. Don’t forget your dryer vent. It should be checked for lint build up and debris every year to both avoid fire risk and help the life of your appliance.